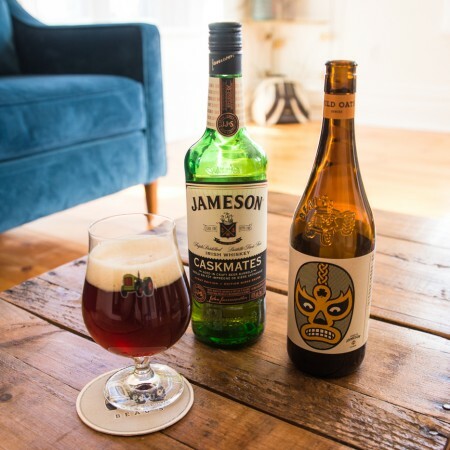 VANKLEEK HILL, ON – Beau’s Brewing has announced the annual return of a popular offering in its Wild Oats series of limited edition beers, which features “an extra-special touch of authenticity” thanks to the use of Irish whiskey casks in the brewing process. Strong Patrick was first brewed by Beau’s in 2012 for St. Patrick’s Day celebrations, and has since become a returning seasonal beer. It is stronger than a typical rendition of an Irish-style red, and is luscious and malty. The ale pours brilliant red with a creamy head. The red hue is a result of the addition of organic roasted barley to the recipe, which also includes Pilgrim hops and Irish ale yeast. Its aroma conjures notes of caramel, whiskey, oak, and malts. It has a malty backbone, with a touch of toasty caramel and vanilla, and a mild bitterness to round and balance. It finishes rich and warm. Strong Patrick is available now at the Beau’s retail store and delivery service, and select beer retailers in Ontario and Quebec. It will also be one of the featured beers at the Beau’s St. Patrick’s Party taking place March 16th at Aberdeen Pavilion in Ottawa.